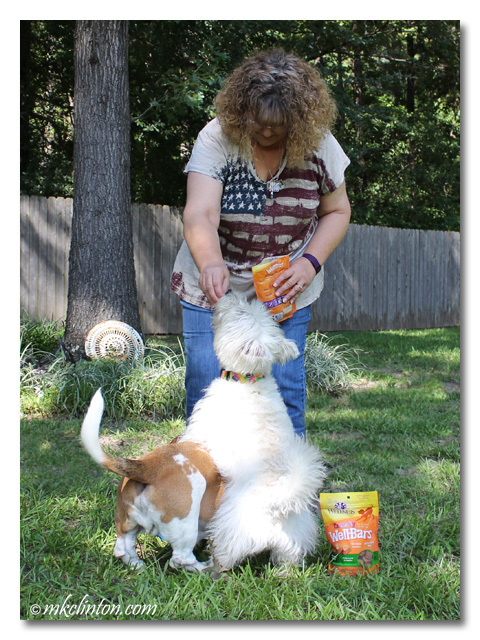 Barking from the Bayou, LLC was given the Wellness® treats featured below in exchange for an honest review. We only share products and services that we believe will benefit our audience. All opinions are our own and Wellness is not responsible for the contents of this article. Pierre: “You aren’t just whistling Dixie, Bentley. 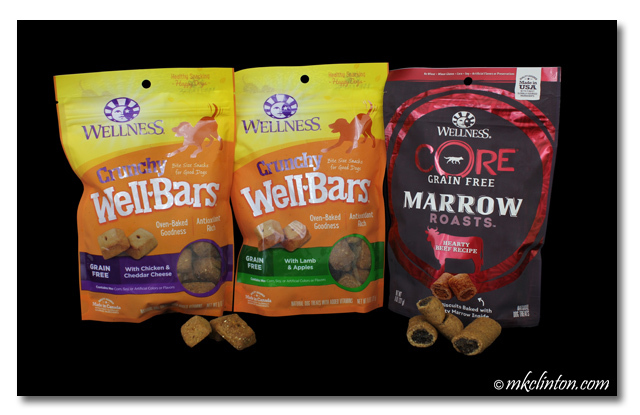 The Wellness Core® Marrow Roasts will have any dog drooling. They are all-natural, packed with protein treats made with REAL marrow. They are crunchy but not a hard crunch. Pierre: "Let me just use your back to reach this treat. You are such a great 'step-brother'." Price: $4.99 for 8oz. $9.99 for 20oz. or $18.99 for 45oz. 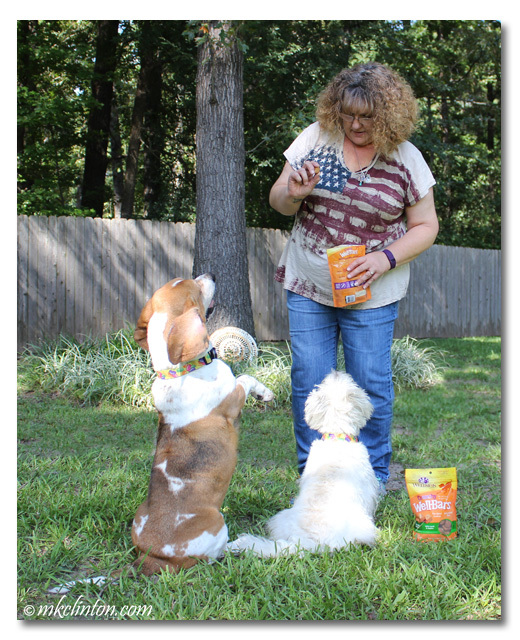 Bentley: "The Bayou Boys give Wellness' new grain-free treats high-fives for being awesome!" We LOVE Wellness. It's a great brand! We definitely have to try these as we have not yet tried Wellness treats yet! Thanks! Awesome! We will have to try - our whole pack is on a grain free diet! We haven't tried these, but we do love other treat varieties from Wellness. These look real yummy! Enjoy, boys! Those are low calories so we can eat about 87 of them with no worries! The marrow ones caught our attention right away. Great review! The crunchy grain free WellBars have become our new favorite around here for daily treats. You can get a 50 oz. box of them at Chewy, so it works out great for our 3 dog household! We used to buy bulk treats from another company, but I didn't love their ingredients anymore and it took me a while to find something that we could buy in big packages! We're working our way through all the different flavors. We'll have to try those marrow roasts too next time we place an order. They sound sooooooo yummy! Mackie climbs on my back to make himself taller too! Those treats must be really tasty the way you guys are begging for them. We like Wellness and we know they make good stuff. You lucky pups! One day we will attend and get to meet all the great vendors and participants! These sound tasty! 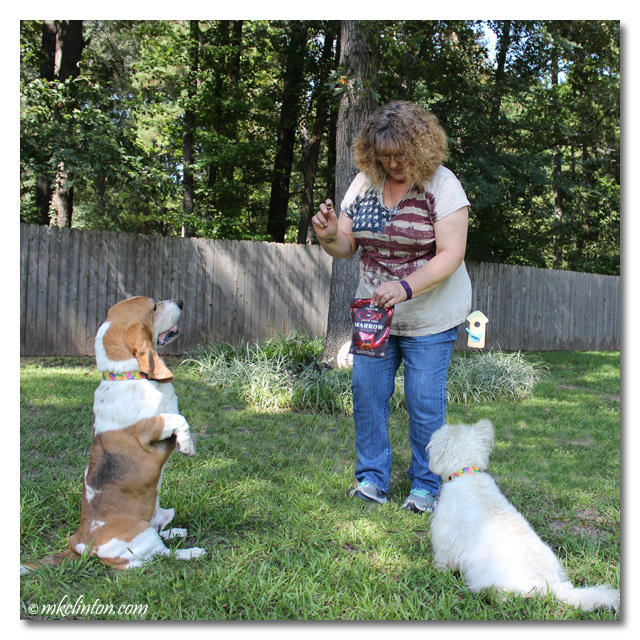 My dogs are loving the Wellness treats we got in our BlogPaws swag bag, although I try to ration, they're almost all gone! Me thinks your guys 'kinda' liked them!